3 Moses was taking care of the flock for his father-in-law Jethro, Midian’s priest. 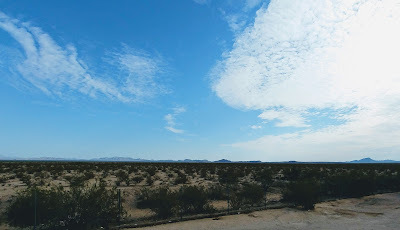 He led his flock out to the edge of the desert, and he came to God’s mountain called Horeb. 2 The Lord’s messenger appeared to him in a flame of fire in the middle of a bush. Moses saw that the bush was in flames, but it didn’t burn up. 3 Then Moses said to himself, Let me check out this amazing sight and find out why the bush isn’t burning up. 5 Then the Lord said, “Don’t come any closer! Take off your sandals, because you are standing on holy ground.” 6 He continued, “I am the God of your father, Abraham’s God, Isaac’s God, and Jacob’s God.” Moses hid his face because he was afraid to look at God. 14 God said to Moses, “I Am Who I Am. So say to the Israelites, ‘I Am has sent me to you.’” 15 God continued, “Say to the Israelites, ‘The Lord, the God of your ancestors, Abraham’s God, Isaac’s God, and Jacob’s God, has sent me to you.’ This is my name forever; this is how all generations will remember me. Pharaoh was afraid of the Israelites, whose numbers had increased. He saw them as a threat, so he ordered them to be enslaved. When that didn’t slow down the growth, he had the first-born son killed. One child, however, was rescued, ironically, by Pharaoh’s own daughter. This daughter of the king adopted the child, named him Moses, and raised him as royalty. But, as the story goes, eventually Moses, intervenes on behalf of a Hebrew slave, kills the Egyptian oppressor, and then flees for his life. There is a lot to this story that is left unexplained, but the point is, upon achieving adulthood, Moses had felt the pull of kinship and acted in support of his people at the cost of rank and privilege. Now he is living in the Sinai desert, watching over the sheep for his father-in-law, the Midianite priest Jethro. From prince to shepherd, such it seems was the destiny of the one called Moses. Moses the shepherd of Midianite sheep had seemingly wasted his opportunity to serve his people. That is, until the day he saw something glowing on the horizon. Being the curious type, Moses decided to check it out, and the rest is history. With this reading from Exodus we reach the 13th Sunday after Pentecost. For much of this Pentecost season we have been reading (in the semi-continuous cycle of Pentecost, year A) texts that pertain to God’s covenant promise. At each stage, from the call of Abraham forward, there seems to have been impediments to fulfillment of the promise. Yet, at each stage, the covenant story moves forward. Moses could have been killed, but he was spared, and he becomes a key player in the story of the covenant. Indeed, as one will see as the story of Exodus continues, God will renew this covenant by attaching an additional element—Torah—which will help define the path forward. But, first we need to investigate that glow on the horizon. When Moses reaches the place where the glow originated, he found a bush on fire, but a bush that wasn’t consumed by the fire. 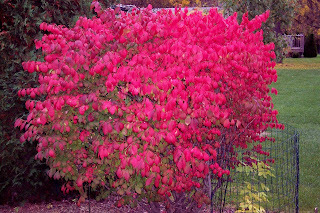 This isn’t normal, and yet here it was, a burning bush. Moses is intrigued—you would be intrigued as well. But this isn’t just an oddity, it is a sign. It marks the spot where Moses will receive his call. It is here, in this burning bush, that God reaches out to him, and issues a call. As Moses stood before the bush, marveling at it, a voice spoke from within its midst. This was none other than the voice of God, who calls out Moses by name. After Moses answers, the voice tells him to take off his shoes, because he is standing on holy ground. This ground is holy, because God is present. After Moses removes his shoes, the voice from the burning bush declares: “I am the God of your father, Abraham’s God, Isaac’s God, and Jacob’s God.” In other words, the one speaking to him is the covenant making God. Not only that, but God tells Moses that God had heard the cries of the people of Israel. God had seen their troubles with Pharaoh, and wanted to do something about it. Isn’t it great that God has heard their cries and would like to do something about it? So, why doesn’t God just snap the divine fingers, and put Pharaoh in his place. Why did Israel have to endure slavery? Why the slaughter of innocent children? What use is God, if God doesn’t act sovereignly? That is, of course, an age-old question. If God is all powerful, and good, why doesn’t God make sure evil is eliminated from the universe? Isn’t it within God’s ability? Perhaps there is another answer. I’ve been pondering for some time the idea that due to the fact that God is love, and love is by necessity non-coercive (so says Tom Oord), then perhaps God needs a partner? Perhaps that is where Moses comes in. Love is inviting. It’s persuasive. So perhaps we can understand this encounter to be that invitation. God is inviting Moses to join him in the work of redemption of the people of Israel. Moses, of course, isn’t sure about this calling. Who am I? He responds. God tells Moses not to worry, “I’ll be with you.” Great, but who am I to tell the people is sending me to lead them out of Egypt? Now, isn’t that interesting. Moses, has been having this conversation with the bush, but he’s not sure who he’s talking to. Yes, this voice claims to be the God of his ancestors, but he needs more. He needs a name. Perhaps, that is because knowing the name of a deity might give a person some power over the deity, but whether that is true or not, Moses needs to know more. God provides an answer that is intriguing in that it is both hides God’s identity and reveals it. God responds, famously, “I am who I am.” Yes, tell them that “I Am” has sent you. That is the way the text has traditionally been translated, but many scholars believe that it would be better to translate the divine name as something like “I will be whoever I will be.” Ron Allen and Clark Williamson suggest that “if knowing the name of a deity was supposed to give some power of that deity, ‘I will be whoever I will be’ names the God of whom all our images, symbols, metaphors, models, and concepts are forever inadequate” [Preaching the OldTestament, p. 80]. They go on to say that “In disclosing Godself, God retains the sovereignty not to be defined by a name. Israel and the church may address God, but may never possess God” [p. 80]. God both discloses and retains God’s identity, so that God retains that sense of mystery that cannot be controlled, but Moses has enough to go on. The same should be true of us. What God is calling Moses to do, going forward, is to engage in a bit of spiritual warfare. The God whose identity cannot be fully known, has called him to move forward, and engage Pharaoh, so that out of Egypt the people of God might be redeemed.